As a premier Alfa Romeo dealership serving drivers near Detroit, Michigan, Golling Alfa Romeo goes above and beyond in every aspect of our business, including our Alfa Romeo lease opportunities. If you're looking for an Alfa Romeo lease, the new Alfa Romeo Giulia is sure to blow you away. 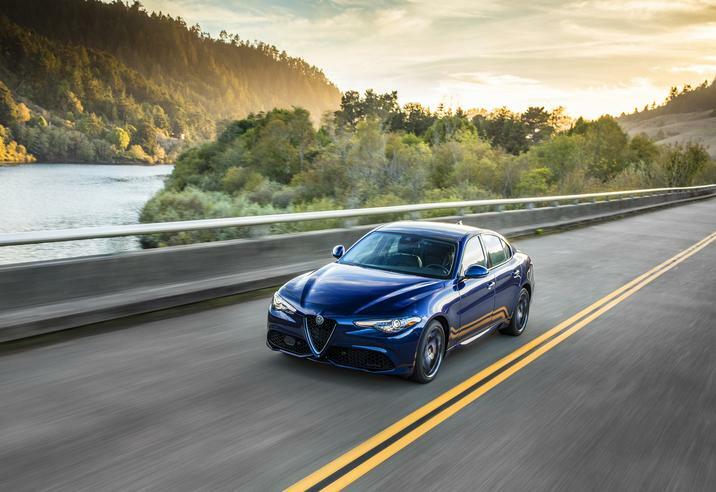 For those who wish to drive a top-of-the-line luxury vehicle but have concerns about the financial commitment of a full purchase, an Alfa Romeo Giulia lease may the answer. An auto lease comes with several financial benefits, including a smaller down payment, lower monthly payments, and more predictable maintenance-related costs. If you're a responsible driver and log fewer miles than most, an Alfa Romeo lease could be an intelligent, cost-effective means of making the most of your driving experience. Contact a Golling Alfa Romeo representative today to find out if an Alfa Romeo lease is right for you! Every Alfa Romeo vehicle in our lineup provides a unique slice of luxury, and the Alfa Romeo Giulia is no exception. With its superb handling abilities and mind-blowing engine capabilities, the Alfa Romeo Giulia is sure to provide you with the exhilarating driving experience you've always dreamt of. With its spacious, finely-detailed interior and seductive Italian styling, the Alfa Romeo Giulia oozes luxury in every way possible. Don't believe us? Visit our Alfa Romeo dealership today located just outside of Detroit, MI to get behind the wheel of this stunning new vehicle! If you're looking to finance your next vehicle - whether it's the Alfa Romeo Giulia or something else - you've come to the right place. At the Golling Alfa Romeo auto finance center, we provide unique financing solutions for our valued customers. We understand that no matter which vehicle you'd like to drive, budget barriers can prevent you from driving it off the lot. It's our goal to help you overcome budget barriers so you can drive home in the car of your dreams. To get started right now, you can use our online resources to value your trade-in and even submit an application for Alfa Romeo financing. To get in touch with a Golling Alfa Romeo financing professional, simply call or come say hello at our Alfa Romeo dealership near Detroit, MI. See you soon!